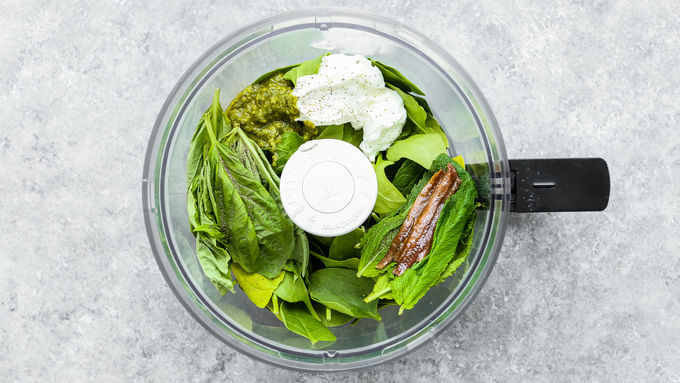 Place spinach, basil, mint, yogurt, pesto, 2 tablespoons olive oil, anchovies and black pepper in a food processor. Cover; pulse until well combined. Heat remaining 2 tablespoons olive oil in a large saucepan over medium heat. 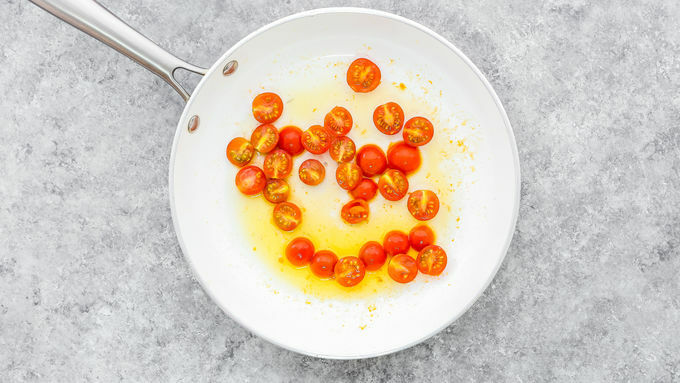 Add tomatoes and sauté for 2 to 3 minutes. Add tortellini and spinach mixture; toss gently to coat. Serve with Parmesan cheese, if desired. I like to keep frozen tortellini and ravioli in my freezer for dinner emergencies. All you’ll need is a yummy sauce, and voila…dinner is on the table in less than 30 minutes. It doesn't get easier than that! 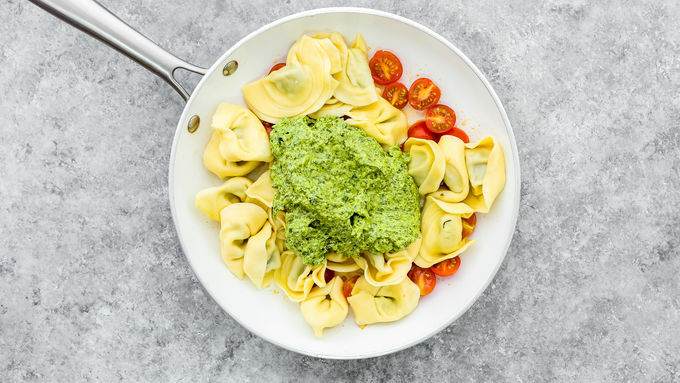 The green goddess pesto, as I call it, is inspired by the famous salad dressing. It's made with spinach, mint and basil. I decided to add yogurt instead of mayo, to make it healthier, and the final result was a creamy and flavorful sauce. 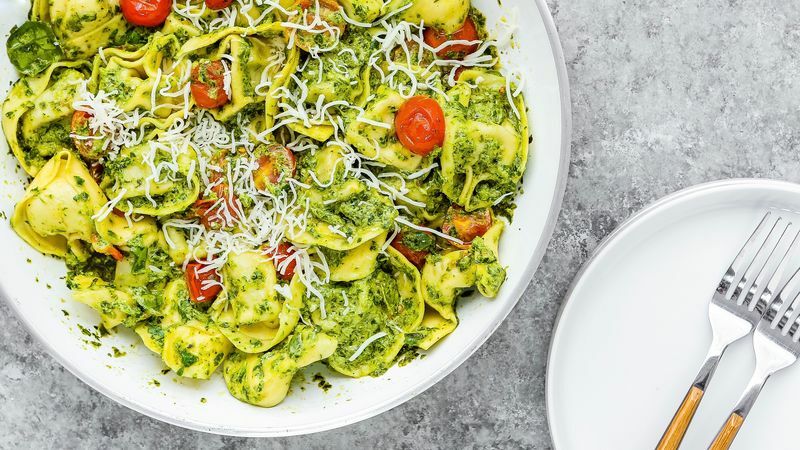 There’s so much flavor, and it pairs amazingly with my go-to tortellini from the store. It’s a sensational meal that goes from the stove to your plate in no time flat. Happy cooking!